Houses are going for a bargain but a 40 percent off sale? 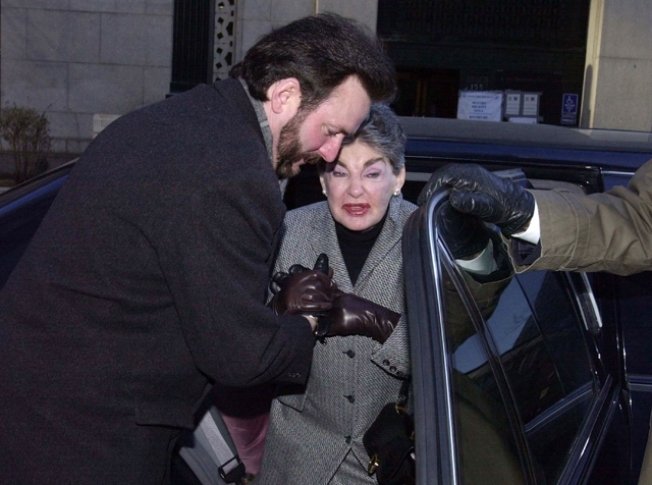 The late hotelier Leona Helmsley’s Greenwich manse is going for a super deal, relatively speaking. When the Queen of Mean's former home, 521 Round Hill Road, went on the market in 2008, the asking price was $125 million. In the fall, the price was cut to $95 million and now it’s at the ever-more affordable $75 million, according to Greenwich Time. The house, known as Dunnellen Hall, is a Jacobean manor. The 23,000-square-foot home on 40-acres is a manor fit for some luxe living. Let’s just say wow! David Ogilvey and Associates has the listing. From the photos, it’s pretty amazing. If you can swing it, $75 mil will get six upstairs bedroom suits, three of which have fireplaces for those cold Connecticut nights. The seventh bedroom is set up as a study with wet bar. You’ll also get a 70-foot marble reflecting pool with a three-tier fountain. Oh, and your staff can have their own dining and sitting rooms, of course, it’s near the mudroom and laundry. Proceeds from the sale of the mansion and grounds are slated to go to a charitable trust that was established after Helmsley's death in August 2007, according to Greenwich Time. In case you don’t believe us about the wow factor, luxist.com picked the house as the Estate of the Day in 2008.